Leading insurance publication Insurance Business America released their inaugural list of the Top Insurance Workplaces in America. “A Top Workplace can encompass many things—great benefits, great resources, great management—but to uncover the roots of what truly makes an organization a good place to work, one must look at its foundations: Its People” says IBA. “Insurance firms both large and small, from all areas of the industry (carriers, agencies, third party vendors) were invited to participate…and only 51 earned the title of Top Insurance Workplace.” Alper Services is one of them and this award is because of our Team of People! 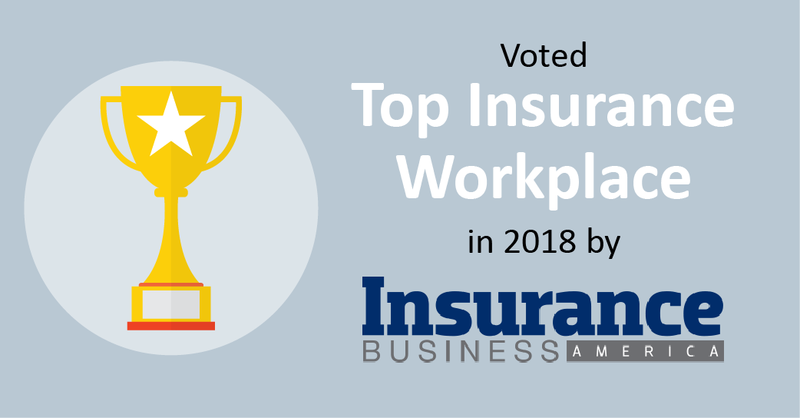 We are proud to be recognized as a Top Insurance Workplace by IBA and the votes of our Team, and know we must continue to do what we can to see our People succeed. With that mission driving us, we look forward to seeing our name on the list in 2019!